the amino acids potentiating the hydration. Amino acids and Rice Protein. 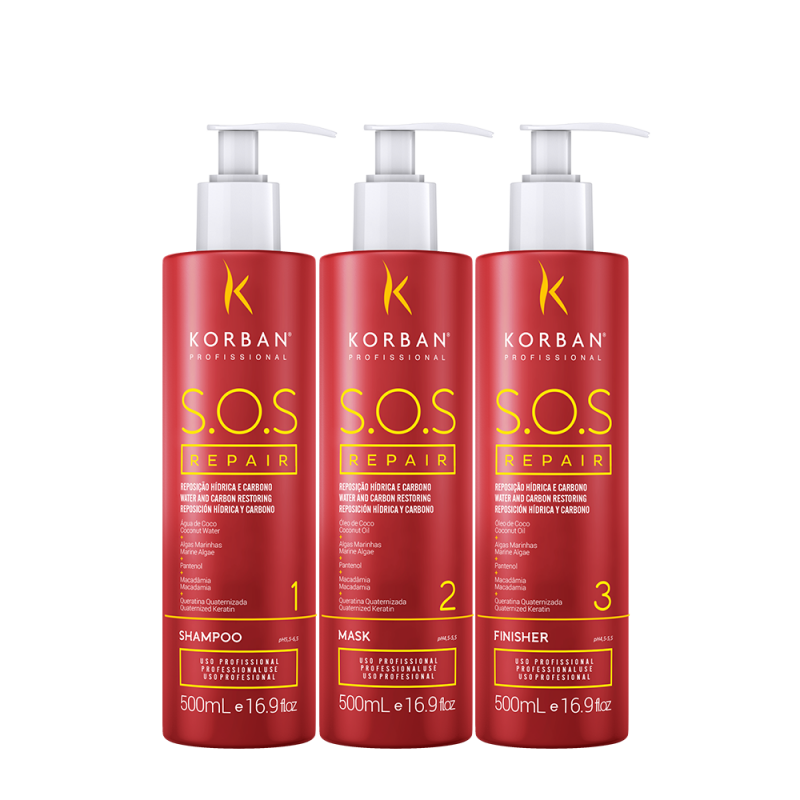 A shampoo designed to treat damaged and dry hair, it cleans gently without harming the hair fiber while repairing, hydrating and restoring the carbon present in the glycoside, thus helping to strengthen the bond between amino acids, enhancing hydration and allowing better absorption of the active compounds. Free of sulfate, salt (without addition of sodium chloride), parabens and mineral oil. Hair mask for damaged and dry hair. Repairing, hydrating and restoring the carbon present in the glycoside, thus helping to strengthen the bond between amino acids, enhancing hydration and allowing better absorption of the active compounds. Free of sulfate, salt (without addition of sodium chloride), parabens and mineral oil. Hair finisher for damaged hair. Repairing, hydrating and restoring the carbon present in the glycoside, thus helping to strengthen the bond between amino acids, enhancing hydration and allowing better absorption of the active compounds. Free of sulfate, salt (without addition of sodium chloride), parabens and mineral oil. Apply the shampoo on wet hair and wash lightly. Rinse the hair and reapply the shampoo by massaging the scalp gently until it forms a rich, creamy lather. After that process, rinse the hair and then apply a moisturizing product. Apply a generous amount on clean and moist hair, strand by strand. Leave it on the hair for 10 to 20 minutes and rinse. Put a significant amount on your hand, distribute it between both of your hands and apply it on the clean and moist hair, beginning applying the finisher on the hair ends, and then on more rebellious hair and strands that are more exposed to the sun. Slide your fingers between the hair strands until it is completely untangled. Comb and finish it as usual.